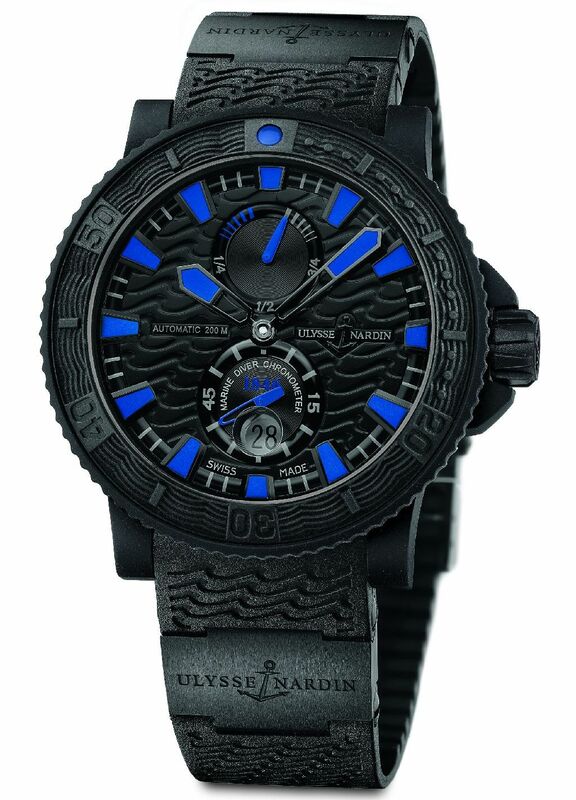 Embracing its rich oceanic history as a master creator of timepieces for diving and sailing, Swiss luxury watch brand Ulysse Nardin unveils its latest model in the Black Sea line of watches. Carrying on the characteristics of the family, the new Black Sea is highly durable with an athletic structure presenting a stainless steel case coated with vulcanized rubber. The vulcanization process enhances the timepiece’s comfort and flexibility, but moreover, its ability to withstand the most extreme conditions. Other important elements of the watch include: a unidirectional turning bezel that further safeguards divers; a rubberized screw crown for added water resistance to depths of 200 meters; and a rubber strap with two ceramic elements and folding clasp for enhanced sturdiness. A 42-hour power-reserve indicator is situated at 12 o’clock, while the oversized small seconds and large date are displayed at 6 o’clock, always keeping its wearer well informed. Proven in function and reliability, the self-winding timepiece also shows a serious sense of style. Sporty in nature, its black tone with blue accents provides a refined essence that can easily transform from wet suit to dining attire. It is both a state-of-the-art diving instrument and a representation of great design.